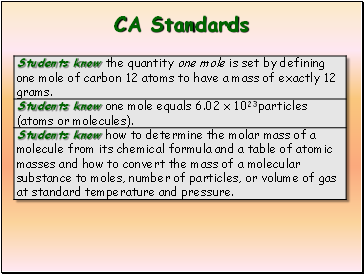 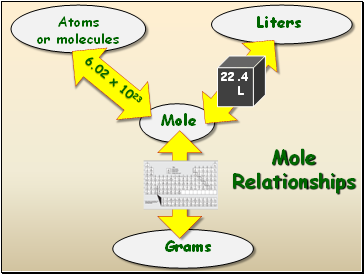 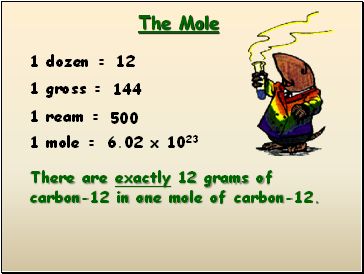 There are exactly 12 grams of carbon-12 in one mole of carbon-12. 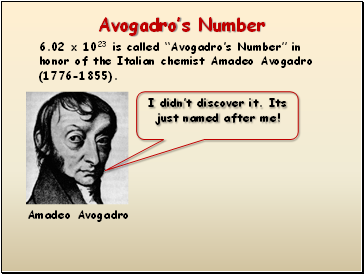 6.02 x 1023 is called “Avogadro’s Number” in honor of the Italian chemist Amadeo Avogadro (1776-1855). 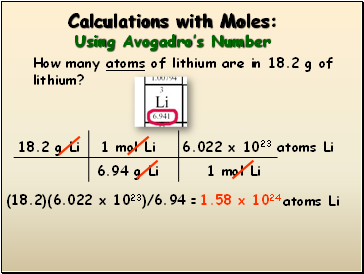 I didn’t discover it. 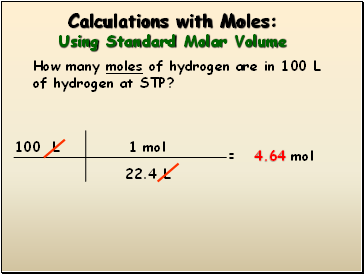 Its just named after me! 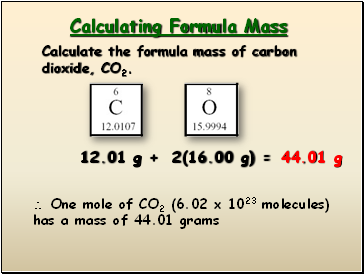 Calculate the formula mass of carbon dioxide, CO2. 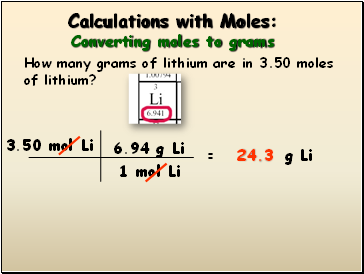 How many grams of lithium are in 3.50 moles of lithium? 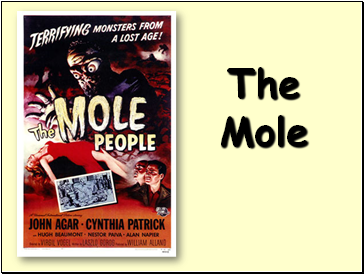 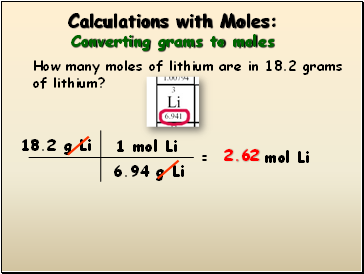 How many moles of lithium are in 18.2 grams of lithium? 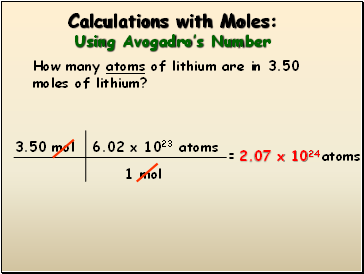 How many atoms of lithium are in 3.50 moles of lithium? 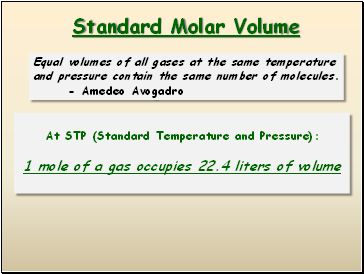 Equal volumes of all gases at the same temperature and pressure contain the same number of molecules.